Alerts powered by Smart911 is the official emergency alert and notification system of Genesee County 9-1-1, CodeRed will no longer be used. This system is used to send alerts to the public during emergencies. Alerts powered by Smart911 is a free service that allows you to sign up online to receive customized alerts via text message, email, and voice message. In addition to emergency alerts, you can also choose to receive customizable community notifications. These may include notifications about severe weather, safety, health, utility disruptions, major traffic incidents, and more. This service is provided by the Genesee County 9-1-1 at no cost to the public; however, message and data rates may apply. When emergencies happen, be the first to know. 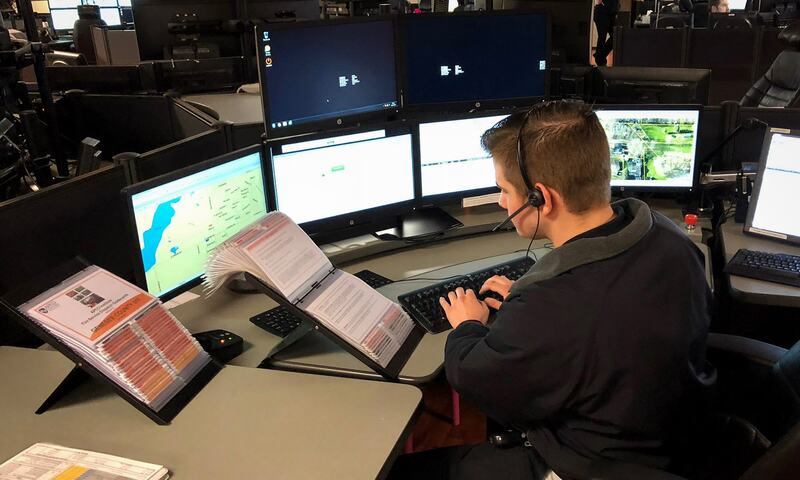 The 9-1-1 center uses Alerts powered by Smart911 to send official, real-time alerts to the public with information about potentially life-saving actions they may need to take to keep themselves and their families safe. By signing up for Alerts powered by Smart911, you are taking a large step toward improving your personal safety. When an emergency occurs that meets the criteria for sending out an alert to the public, the emergency dispatchers will gather the necessary information and push out an alert to the affected area. Alerts can be sent out county-wide to everyone who has opted-in to the system, or to a specific area or neighborhood for more localized events. This service is provided by Genesee County 9-1-1 at no cost to the public; however, message and data rates may apply depending on your provider and phone services. While Alerts powered by Smart911 is an excellent system, we cannot guarantee that you will receive notification in all cases. Disasters and emergencies are chaotic and unpredictable, and notification is dependent on external providers such as your wireless carrier or email delivery service outside the 9-1-1 center’s control. Alerts powered by Smart911 will use several means of communications to try to ensure that should any one communications method, technology, or delivery option be unavailable to reach residents, other methods will be used to improve the likelihood that citizens will see the message. Signing up for Alerts powered by Smart911 is easy! Go to smart911.com and register your contact information. To update your existing Alerts powered by Smart911 preferences, click here. Alerts powered by Smart911 is available to anyone who lives, works, travels through, or visits Genesee County. The address can be your home location, work location, or any other location you care about. Once you have signed up online at smart911.com and confirmed your contact information within the system, you will begin receiving alerts. This system is not intended to bombard you with information. The 9-1-1 center will only send you alerts about the information you select to receive. To change your alert settings, login to smart911.com and edit your preferences. Personal information provided to Alerts powered by Smart911 is private and only used to notify you of official communications and to support Genesee County’s emergency services.